Coastal areas within 1,000 kilometers could be hit by dangerous tsunami waves. 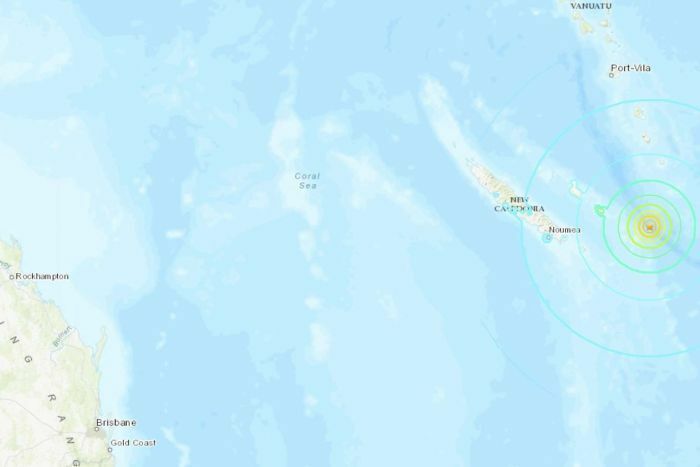 After a magnitude 7.5 quake off the coast of New Caledonia, a tsunami warning has been issued in the Pacific. The Pacific Tsunami Warning Center said on Wednesday, coastal areas in a radius of 1,000 kilometers from the epicenter of the quake could be hit by dangerous tsunami waves. The quake occurred at a depth of ten kilometers, said the US earthquake USGS. The epicenter was some 300 kilometers east of Noumea. There were no immediate reports of damage from the quake. The Pacific Tsunami Warning Center said that tsunami waves had been “observed” in the region but did not say where. Residents of New Caledonia, a French territory, received text messages directing them to go to refuge centers immediately, with waves of up to three meters possible, according to the warning center. According to Reports, residents were told to move more than 300 meters from the shore, and if possible, to grounds 12 meters above sea level. A spokesperson for French mining and metals group Eramet, which runs the Doniambo nickel plant in the main harbor of Noumea, said the company had activated its tsunami alert process.